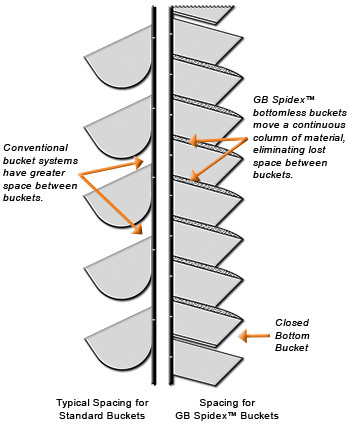 GB Spidex™ is a pressed steel bottomless elevator bucket system that can double your existing elevator capacity and handle your troublesome materials. 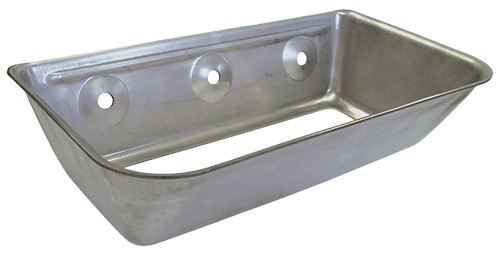 This unique bucket system lifts material in a continuous column, so the carrying space between conventional buckets is fully utilized by material to achieve much greater capacity. saving manufacturing costs and plant space. easily as GB buckets have the ultimate vented. bucket system to deliver the capacity you require.